Are you tired of being a farmer and sitting under a Shield? Do you want to become a top attacker and burn Towns together with your clansmen? If you do, then the first thing you need to do is to build the Valkyries' Citadel when your Palace reaches level 12. What is so interesting about this building? It's very simple, really – you can upgrade your warriors, or more precisely, their offense and defense. The upgrade costs have six levels. If you haven't upgraded your warriors yet, then the default cost will be on the same level for all types. But as soon as the first upgrade has been completed, the cost of upgrading the selected troop type remains at the first level, while the cost for the other troop types increases to the second level. For example, let's say you upgraded your melee offense. The upgrade cost for melee troops is now at the first level, while that of the other troop types increases to the second level. Let's say you then enhance your killers. Their cost will remain on the second level, but for the remaining four troop types it will be raised to the third level, and so on. The higher the level, the more costly it will be to conduct all of the upgrades for a certain troop type. You cannot undo the process once it has finished or reset the upgrades! So think carefully before the first upgrade about which troop type is your main one, discuss this with your clansmen, and hit "Upgrade" with a steady hand. - First, upgrade one troop type to its maximum. - Don't mix them and don't spread them too thinly since every upgrade requires a lot of resources and time. - Only enhance another troop type when you have finished with the previous one. - Don't forget to learn the corresponding Knowledge and craft a suitable set of equipment at the same time. • Upgrading warriors is a unique process in the Town that doesn't depend on building, Knowledge learning, or training. 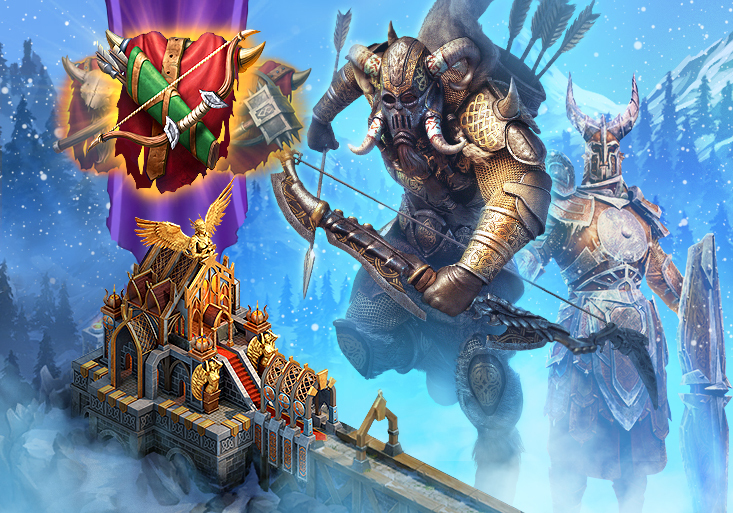 • Enhancing your troops and increasing the level of the Valkyries' Citadel give you Influence points, as well as Hero's and Shaman's experience. • Upgrading your warriors doesn't bring you points in Competitions. • As the level of the Valkyries' Citadel increases, you will have the possibility to upgrade warriors of higher tiers (for example, tier VI warrior upgrades are unlocked at level 26 of this building). • You cannot demolish the Valkyries' Citadel. • When you enter this building for the first time, be sure to look at the "Troop upgrades" tab and hit the "Info" button: there you will find useful data about the cost of upgrading your warriors. Remember the valkyries' motto: "Think seven times, upgrade once."